When baby comes along, all the attention often falls on the mother and baby. But fathers also struggle to adjust to this new situation. 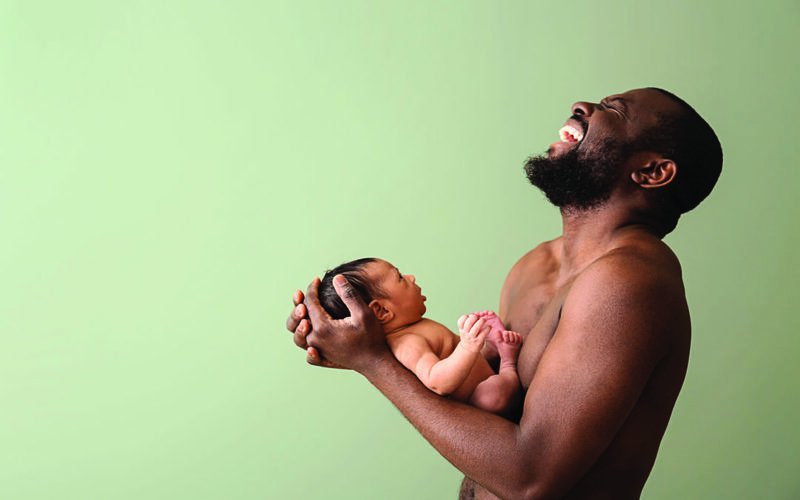 Paediatric neurologist and new dad Dr Amith Keshave outlines some of the things new dads want moms to know. Having my own children has made me a better person. I have more sympathy, more understanding and better insight into where parents are coming from. I have no idea what I did with my time before we had children – now we have to do twice as much in half the time. You only need one hand to function and do things … the other hand is purely for carrying the baby. I have realised just how much I can do without sleep. So dads, if you are in agreement with this, then you are most definitely not alone. We know all the attention falls mainly on mom and the new baby, and that our shares drop considerably like the rand against the dollar when our baby is born, but that doesn’t mean that we don’t care and are not around. We are here in situations when even superheroes would want to run away. We are “New Generation Dads” and can do stuff if you allow us to. We also get tired – and your fatigue and ours is the same. We do not love you less – but, in fact, more after a baby, even though we don’t always have time to show it. It’s okay to leave baby and enjoy some alone time by or spend some time with us now and again. Too often new dads have to bear the brunt of a mom who is coming to terms with a new baby, dealing with hormonal changes, pain and some discomfort, struggling to feed a newborn, not knowing if the baby wants a burp or feed or just to be carried, or anything else the baby’s cry might indicate. We often have to step into a situation that most fire-fighters would want to run away from. 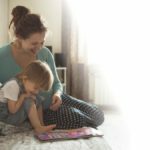 I am by no means underplaying what new moms have to go through – this is just a new dad’s view on the change in dynamics. These days, dads are very involved in parenting and caring for the newborn compared to their own fathers. So, new dads are in the same boat. We don’t know all the baby’s cues, nor do we have all the answers, but we are there to support you wherever we can. Also, many new dads have read and studied before the baby is around, and if they show initiative, allow them to take over. Some new moms are too over-protective, worried that the dad will mess things up, but letting dad in allows baby to bond with both parents and in that way they can make moms’ lives much easier in the long run. New moms shouldn’t feel that they have to do it all, and be the super heroines from day one. We are here to help, so please let us! Even when new dads are taking on more baby responsibilities, including night shifts with a newborn, trying to let mom get some rest, it is often in addition to going to work the next day. They’re expected to perform at their peak and then return to night duty again. Hence new moms often don’t understand how dads can sleep through – but yes, we are human, and fatigue gets to us as much as it does to new moms. When a new baby comes around, time doesn’t go out the window, it evaporates. The time we had to do surprises and spoils, or to celebrate special occasions, comes and goes before we know it. It’s not because we have lost interest or don’t care – but unfortunately time becomes a factor that new parents need to learn to manage. We still care for and love our partners regardless of what the baby brings. We know new moms will always worry and want to ensure baby is protected and looked over 24 hours a day, however time out is good not just for you but also for us. Yes new moms, something we would like you to know is that if you don’t oversee baby for two to three hours in order to go for dinner or a movie – it is okay. The baby is not going to suffer immeasurable emotional or psychological damage in your absence. It is more the moms who need to learn to let go, and take time for themselves and also for the new dad. This allows you time to get to know what has been happening out of the chaos of feeds, nappies, burps, baths, and cries of the newborn. New couples need to know that the newborn brings with it joy and the most memorable moments, but also the most challenging situations. Always remember you’re in the same boat together and need to be there for each other so you don’t drown in the waves of distress, but instead make it a smooth sail into the unknown together.